Saturday was a long and difficult day for all of us at London Zoo. It has taken an enormous amount of behind-the-scenes work to enable us to reopen our doors so quickly - we know how important a visit to the Zoo over the festive period is for so many people. The efforts of staff and emergency services, and the strength of support from the public, has been humbling; I can’t find the words to express our appreciation. While it’s been heartening to hear the chatter of excited children back in the zoo again today, our work investigating all aspects of the fire continues. One important update is that our vets completed an initial post-mortem on Misha, the aardvark; they have concluded that she most likely died from smoke inhalation whilst asleep in her den. Sadly though, after a thorough search of the site, we must presume that our four meerkats - brothers Robbie, Norman, Billy and Nigel - have died. The external investigation into the fire is ongoing, and it remains much too early to speculate on its cause. We’ve been overwhelmed by the hundreds of emails, phone calls and letters of support from all over the country - these kind and generous messages range from families offering to give up their Christmas Day to help us clean up, to offers from local builders to rebuild the enclosures for us. Along with the whole team here, I am really grateful for this show of kindness and support; we will be in touch over the coming weeks to express our thanks individually. On a desperately tough day, it was a wonderful reminder of the place the Zoo holds in the hearts and minds of so many. 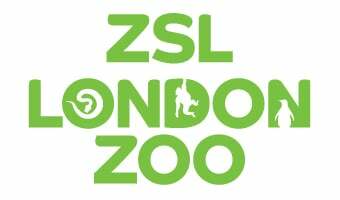 Thank you to everyone who cares for London Zoo as much as we do.